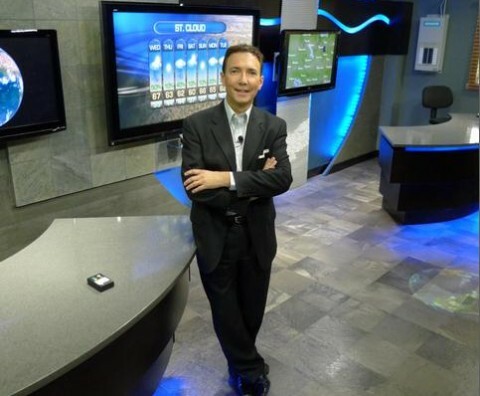 Paul Douglas is a nationally-respected meteorologist, with 40 years of broadcast television and radio experience. In high school Kruhoeffer adopted a stage name, after being told his real name was too difficult for the station’s DJ’s to pronounce. 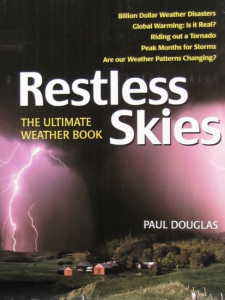 Douglas graduated with a Bachelor of Science Degree in Meteorology from the Pennsylvania State University in 1980. While a senior at Penn State University he broadcast the weekend weather for WNEP-TV in Wilkes Barre/Scranton – where he was promoted to the weekday position in 1980. He was the second TV meteorologist in the country to tap computer graphics for his daily weathercasts. In 1982-1983 he worked at Satellite News Channel in Stamford, Connecticut, delivering 21 national weather shows daily. He was also tapped for multiple appearances with Ted Koppel on ABC News Nightline. 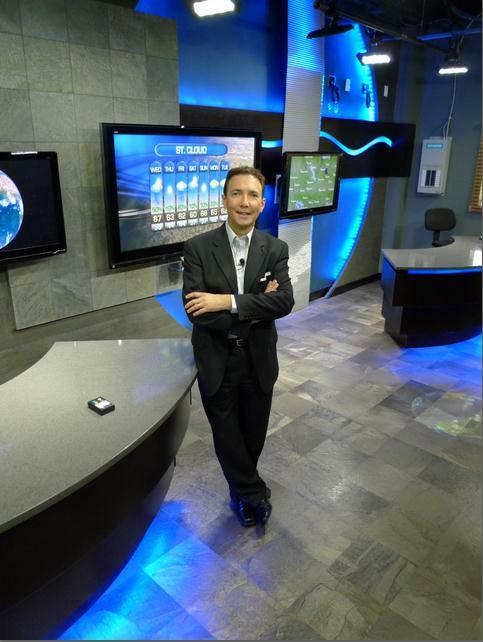 WeatherNation co-founder & Chief Meteorologist. From 1994 to 1997 Douglas worked at WBBM-TV in Chicago, where he made occasional appearances on the CBS Evening News with Dan Rather. Douglas received a Seal of Approval from the AMS, The American Meteorological Society. In 2005 he passed a rigorous exam to become Minnesota’s first CBM, or Certified Broadcast Meteorologist, recognized by the AMS in Boston. He served as Chief Meteorologist for WCCO-TV in the Twin Cities from 1997 to 2008. In 1998 Douglas founded Digital Cyclone, Inc (DCI), which personalized the weather forecasting experience for consumers on the web, e-mail and cell phones. His goal: create personal weather channels for every consumer on a new generation of data-enabled cell phones. The service, Mobile My-Cast, is currently available on iTunes and Android platforms, enabling consumers to see location-based weather alerts and hourly weather reports and even see custom weather graphics, including Doppler radar, lightning and severe storm tracking, on cell phones, making the weather experience unique for every user. In January, 2007 Douglas sold DCI to Garmin, Inc, the leader in global navigation systems, for $45 million. There were over 100 local, Minnesota investors in Digital Cyclone. Born in 1958, Douglas became interested in weather and public service at a young age. After suffering through a devastating tropical storm (Agnes) in 1972, which flooded much of his hometown of Lancaster, PA, he developed a network of flood gauges, which were monitored by ham radio operators during flash flood situations. At the age of 16 he became Weather Officer for Lancaster County Civil Defense. An Eagle Scout, Douglas still teaches weather and astronomy merit badge to fellow scouts. He’s actively involved with the Northern Star Council of the Boy Scouts. He is the spokesperson and public face of “SAVE”, Suicide Awareness, Voices of Education, a non-profit company based in Bloomington, which counsels people suffering from depression, educates the public about warning signs, and helps to identify at-risk people nationwide. Today, Founder and President of Praedictix, Douglas and a team of meteorologists produce and disseminate daily weather reports for web sites, new media, newspapers, cable channels, and TV broadcasters from HD studios in the Minneapolis area. In 2011 Douglas helped to launch a new, national weather channel, WeatherNation TV, a headline-weather service that provides meteorological information and storm coverage, 24/7. Weather is trending more extreme over time and his staff provide severe storm briefings and real-time alerts for local companies and Fortune 500 corporations, providing an extra level of safety and security for staff and clients. Douglas is involved in a second start-up focused on best-of-class weather data. AerisWeather provides data APIs, high-resolution weather graphics and mobile toolkits to hundreds of companies, worldwide – powering applications, improving efficiencies and helping weather sensitive companies optimize operations by running more profitably and safely. Because roughly one third of global GDP is weather-sensitive, and apps on a smart phone only go so far. 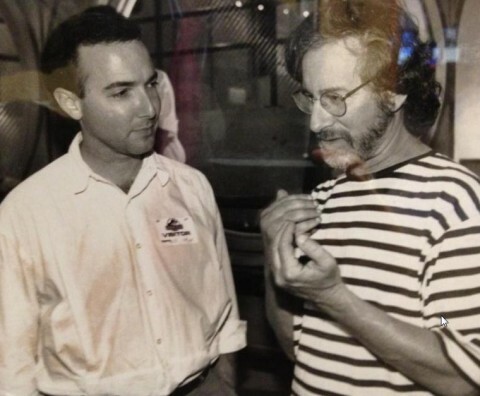 Paul teamed with Reverend Mitch Hescox, President of EEN, the Evangelical Environmental Network, to write a book called “Caring for Creation: The Evangelical’s Guide to Climate Change and a Healthy Environment.” Their goal: frame short-term pollution and longer-term climate risk in a way that better resonates with conservatives and Evangelicals. There’s more information on Paul’s most recent book at caringforcreationbook.com. Paul provides daily print and online weather services for Star Tribune in the Twin Cities, and teams up with Jordana Green on a talk radio show format from 3-6 pm every weekday afternoon on WCCO Radio, serving the Upper Midwest. In addition, Douglas makes monthly appearances on TPT Almanac, the PBS channel serving Minneapolis/St. Paul. He has appeared on MSNBC and CNN, discussing extreme weather and climate change – his stories have appeared in dozens of publications including Bloomberg and The Guardian. Douglas, age 59, continues to volunteer his time for charitable fundraisers and speaking engagements on such topics as his entrepreneurial career and climate change. He serves on the Climate Science Rapid Response Team (CSRRT), providing meteorological input, along with 130+ climate scientists delivering highly accurate science information to media and government representatives. His wife of 34 years, Laurie, is a professional architect. They have two sons: Walt graduated from Penn State – he’s an entrepreneur and musician, working at a high-tech company in Seattle; Brett graduated from the U.S. Naval Academy in May, 2012 and has flown helicopters for the Navy in the Persian Gulf and South China Sea. Douglas and his wife live in the suburbs of Minneapolis, Minnesota.